In Durham, North Carolina, Tom Whiteside and the Durham Cinematheque celebrate the 120th anniversary of the day in 1895 when the Lumière brothers, Auguste and Louis, presented a program in Paris of a novel form of entertainment: motion pictures. 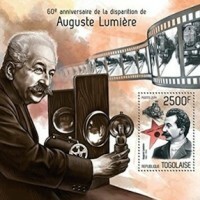 Whiteside held a free, day-long film event on 28 December 2015 at the Durham Hotel, with some unusual features including a "petting zoo" of old cameras and projectors, and even a small exhibition of some postage stamps from around the world that have commemorated the Lumières. Even at the time of Satjajit Ray’s death in 1992, aged 70, the films of the astonishing “Apu Trilogy” were in sad shape, to their maker’s great regret. The original prints had been so badly damaged that they had risked being thrown out. Their resurrection, now, in a 4K digital restoration, is a remarkable event in film restoration. Ken Jacobs's life in film making got a boost from junk in a surplus store. In the 1970s, he found some dumped 16mm TV films in a shopfront on a rundown Canal Street in Manhattan that were going for $5 per reel. He made one into "The Doctor's Dream," which he is now restoring with a 2015 Avant-Garde Masters Grant. 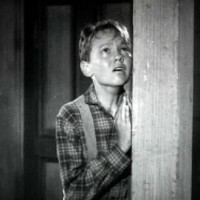 The Library of Congress has made its annual addition of 25 motion pictures to the National Film Registry of the Library of Congress, bringing the listing to 675 films dating from 1894 to 1997. The films named to the registry this year include Hollywood blockbusters, documentaries, silent movies, animation, shorts, independent and experimental motion pictures. They bring the number of films on the registry to 675, which certainly far from exhausts the potential for additions, because the Library’s moving-image collection runs to some 1.3 million items. The Northwest Chicago Film Society has restored, with a 2013 grant from the National Film Preservation Foundation, one of Robert Altman's apprentice films. 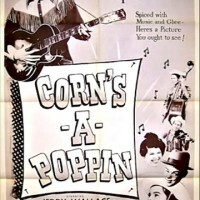 "Corn's-A-Poppin," which Altman co-wrote in 1955, is one for the Altman completist. Get your local film society to book it, today!